Summer Love is a song Ive always enjoyed and wanted to cover since being a JT fan. Whenever I cover songs, I always try to make them as unique as possible while staying true to the original. Another cover video of mine is a the Beach Boys "Wouldnt It Be Nice" which you can check out here: http://www.youtube.com/watch?v=xDy2Ay... In that video, it shows me playing all of the different instruments (except drums) that were recorded in my version of the song. In this video (Summer Love) Im just playing acoustic guitar and singing. I have a history with performing solo acoustic and I thought this would be a good song to display that sound. All and all, thank you for watching this video, I hope you enjoy it! 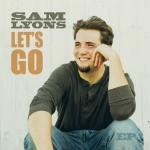 To download more of Sams music go to: http://samlyonsmusic.com/ New album "The Light" is also available on iTunes @samlyonsmusic Directed by: Phil Lyons Special thanks to: Phil Lyons, Chris Di Bernardo, Al Falaschi, Ken Koeppler and Jim Doherty.